Step out in starry style with this ZAC Zac Posen satchel styled with twinkling appliques and signature hardware. 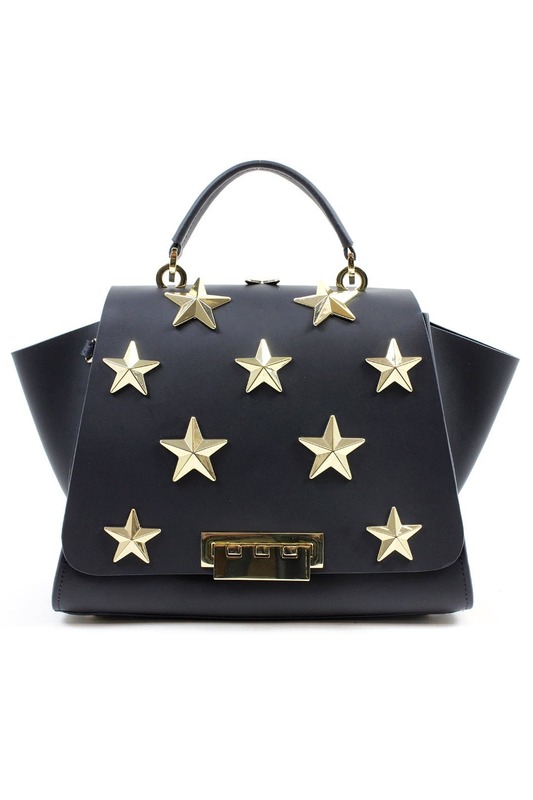 Navy calfskin satchel with gold star detailing. Gold flaplock closure and optional shoulder strap with a 19" drop. 11"L x 8.5"H x 6"D.
Absolutely love this bag. It is larger than expected which I was happy about. I rented this to bring to a party. It was a big large for a party bag but great for general work + weekend. Only one main pocket inside of th bag. Beautiful. Love it. So chic! I rented this as part of my unlimited subscription and couldn't be happier. I used it for a couple of weeks to work and then to some trips I made to Monterrey and then to Mexico City. It was great for work and for travel! It's big so you can fit everything you need in it and it looks so chic. I got so many compliments! Hard to let it go! 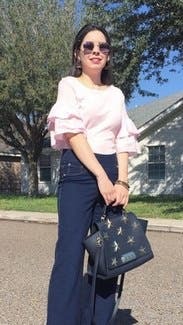 My friend originally rented this bag first - I loved hers so much I rented my own! I wore this to run errands, to work, and to go out on a Saturday night. You can dress it up or down. Very classy, but quite large and heavy. Big enough to hold all my stuff. Fun vacation!! Enjoyed my RTR items! Tons of compliments on the bag!! Perfect for a Florida vacation!! Loved it! Super lightweight and holds a ton of stuff. Perfect for so many occasions & very unique piece! ABSOLUTELY LOVE THIS PURSE! It was a bit larger than expected but was great. Absolutely would recommend and very happy with rental!! 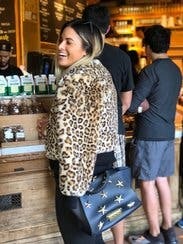 This bag has me feeling like the superstar i am!!!! So cute. Holds everything i could ever want and more.